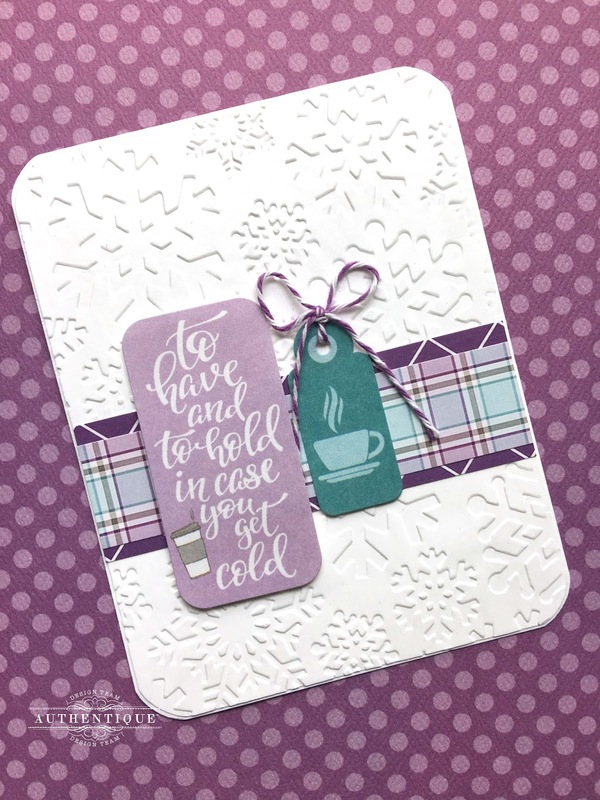 Sometimes a paper collection is so easy to use, that I can create an entire set of cards or projects easily with it. Frosty Winter for me was this collection. Once I started using the fantastic violets and blues, I was hooked. I started with a fun layout. I really wanted something simpler than complicated. The patterns were just too gorgeous to add anything else. I wanted each to shine on their own, so used primarily straight cuts and layers, instead of more complicated shapes. A black and white photo kept from competing with the amazing violets and blues. 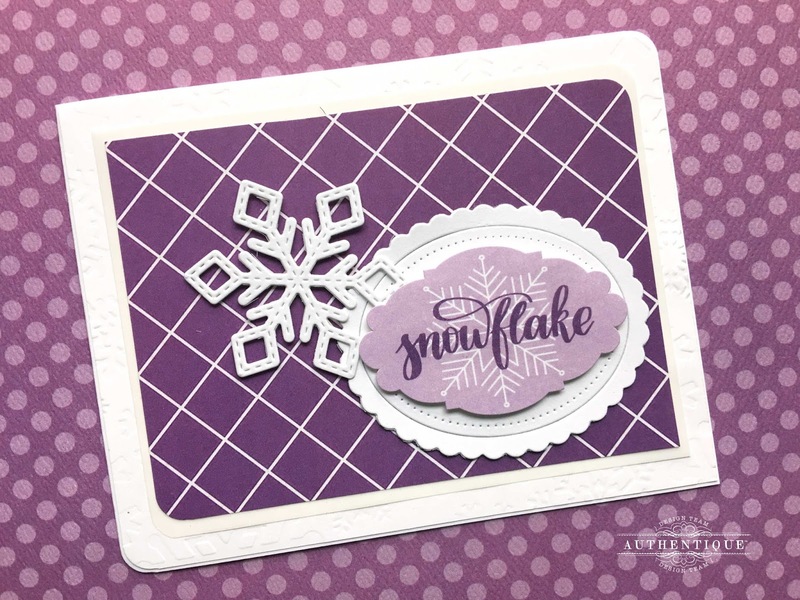 To make the patterns stand out from one another, I used vellum between some of the layers, and as the snowflakes around the image. My favorite part of this collection is easy the tiny sentiment stickers that come on the Details sticker sheet. 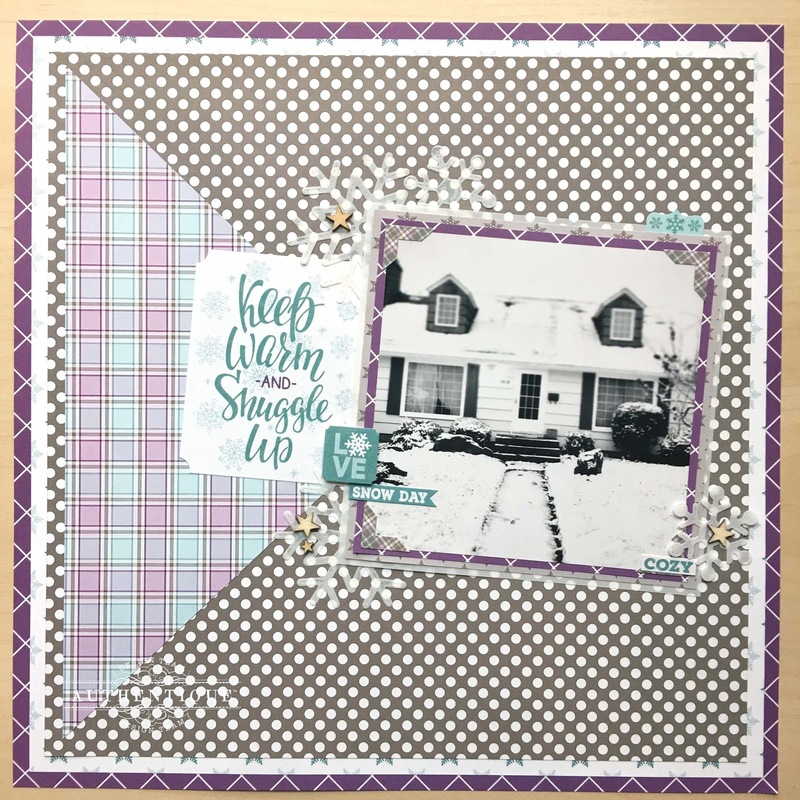 I just loved adding those throughout the layout. The tab stickers are also amazing. 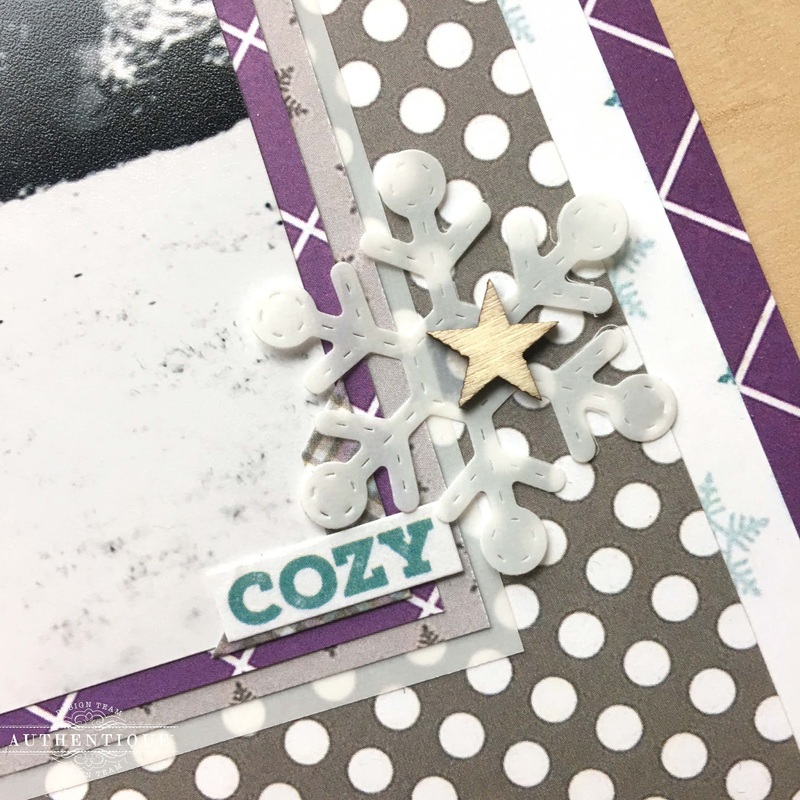 I loved adding all of the tiny snowflakes to this fun layout. 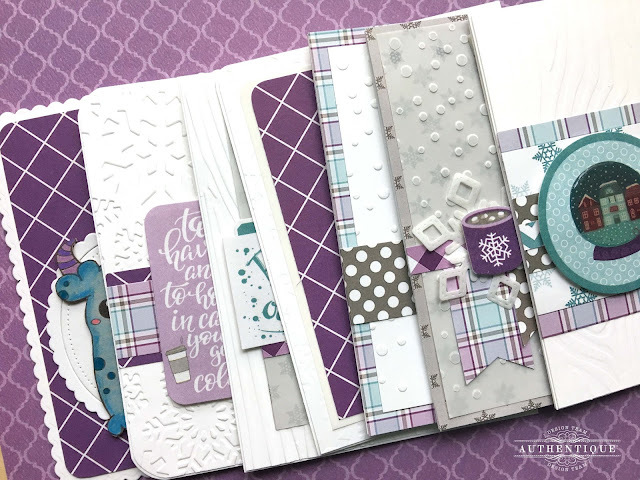 Once the layout was complete, I could stop myself from creating MANY cards with all of the leftover bits and pieces of Frosty Winter. 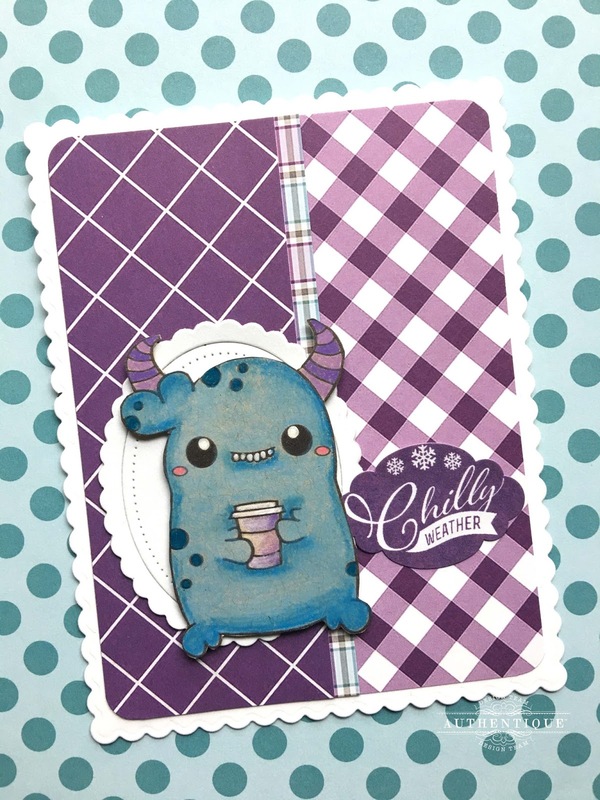 I started with this adorable printable from Jessica Feig. I had to color him to match the colors of Frosty Winter. I cannot wait to send him to someone just for a smile. 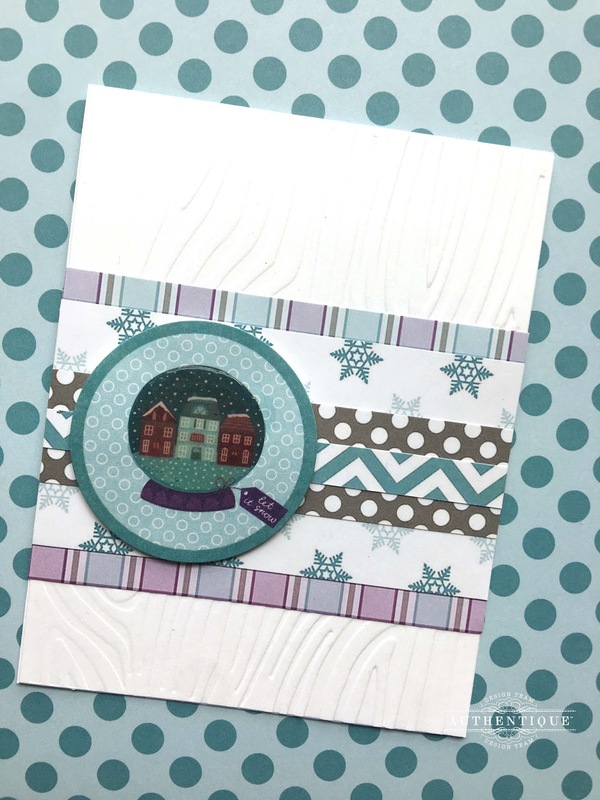 An embossing folder, some scraps, and a little Glossy Accents made this snowglobe card sparkle. Mirroring the snowflake sentiment on the Details Sticker with a stitched snowflake and embossing folder elevates this tone-on-tone beauty. 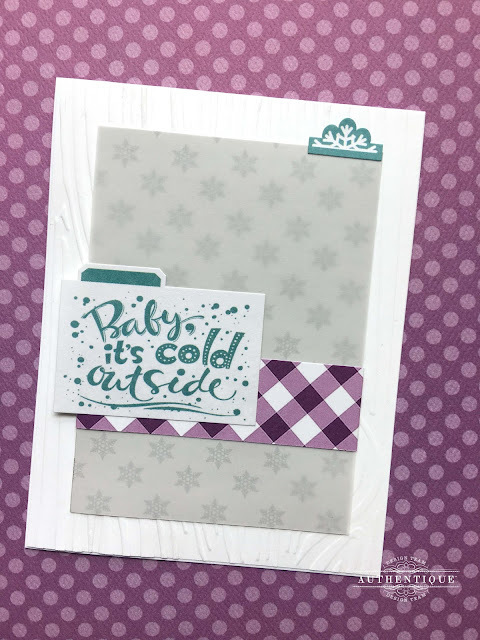 A really simple trick to tone down the colors or patterns of a patterned paper is to place it under some vellum. The vellum is still translucent. so the snowflakes just peek through. A deep impression, a little twine, and some beautiful sentiments make this an easy card to share. Thank you for looking. I hope that you found some inspiration to get your Frosty Winter projects started. Very inspiring work, Heather!! 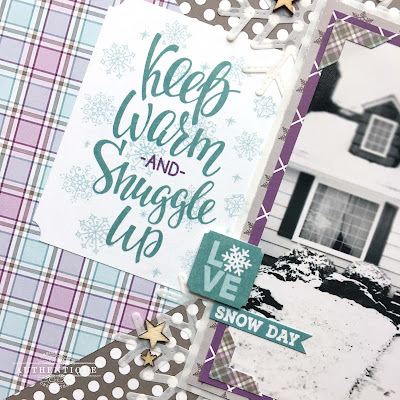 Love your old homestead layout, and the terrific cards using these fun wintery papers!! Not used to using purples like this and you have given me so many ideas!